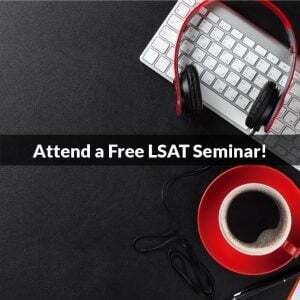 You are here: Home / Studying / Should You Do Warm Up Questions The Morning Of The LSAT? 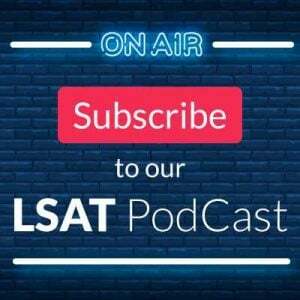 A question I often receive is, “Should I do a set of warm up questions the morning of the LSAT to get into the right frame of mind?” The idea is that by doing questions prior to the start of the LSAT you will be ready to hit the ground running once the test begins, and that will produce the best possible score. In theory it sounds like a good idea, but does it really work, and should you try it? When first implementing this strategy, don’t start with a large number of questions. Doing a full game, a full passage, and 5-10 LR questions expends a significant amount mental energy. So, we recommend starting small: 2-3 LR questions and maybe one game (or passage if that’s your weakness). See if that is enough to get your mental engine started. If not, then add a few more questions in until you reach a point where you can start the test at full throttle. Use your practice tests as a proving ground for whether you need to use this tool, and if so, how many questions are required to get on track. I think another aspect of warming up that deserves to be mentioned is the idea of a quick confidence boost. For students who really want to warm up, I encourage them to do just one linear game or something else they know they can crush, so their last memory pretest is of a resounding success. You know, I think that depends on you. If you think missing a few could shake your confidence, then don’t check the answers. The point of this is to get your mental juices flowing, so knowing if you answered it correctly or incorrectly isn’t essential. On the other hand, if you are one of those people who will be bothered if you don’t know how you did, then check it. There’s no right answer to this, just what you think will work best for yourself. Great arricle. 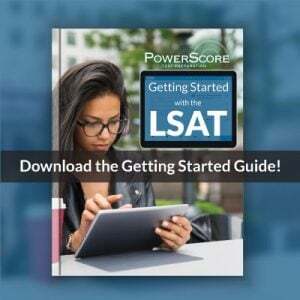 I am considering using powerscore to study for the LSAT which I am taking this December. I am in Rome Italy going to school full time so I will have to do the courses online and on demand. My goal is to get the highest score possible so that I can start applying for law schools. Which course do you recommend? Do you recommend the $350 logic game courses or the $175 a month on demand courses? Thank you. Thanks for the question! Between the Advanced LG and the On Demand, there is no question: go with the monthly On Demand course. the Advanced course is designed for use after someone has created a great base but is still struggling to become perfect; it’s not a starter course and will use terminology and ideas on the assumption you already know the basic and intermediate concepts extremely well. I’m personally a big fan of the On Demand course since it allows you to review any course section as much as you’d like (like having a rewind button for real life), and I know students have been able to use that to pick up key points they otherwise would have missed. So, short answer is On Demand all the way. For me warming up is crucial. But since I do not want to fatigue my brain prior to the test. I have a few logic games that I have already completed a few times in the past that I plan to do on the morning of the test just to reenforce and solidify my skills. Same with some of the LR diagramming and other questions types. I’ll do some that I’m already familiar with just to strengthen my skills and getting into the state of flow for the test.